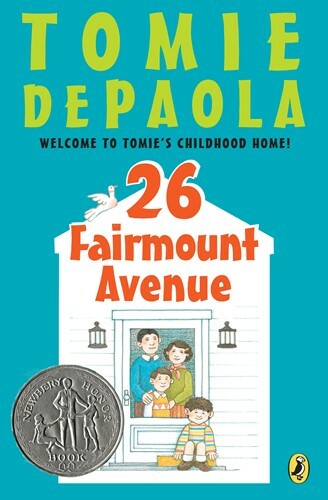 A Newbery Honor Book Tomie's family starts building their new house at 26 Fairmount Avenue in 1938, just as a hurricane hits town, starting off a busy, crazy year. Tomie has many adventures all his own, including eating chocolate with his Nana Upstairs, only to find out--the hard way--that they have eaten chocolate laxative. He tries to skip kindergarten when he finds out he won't learn to read until first grade. "I'll be back next year," he says. When Tomie goes to see Snow White, he creates another sensation. Tomie dePaola's childhood memories are hilarious, and his charming illustrations are sure to please. "A thoroughly entertaining and charming story. "-School Library Journal "